We’ve all seen the Insta famous cats who travel the world on their fancy boats and are treated to lavish days out. 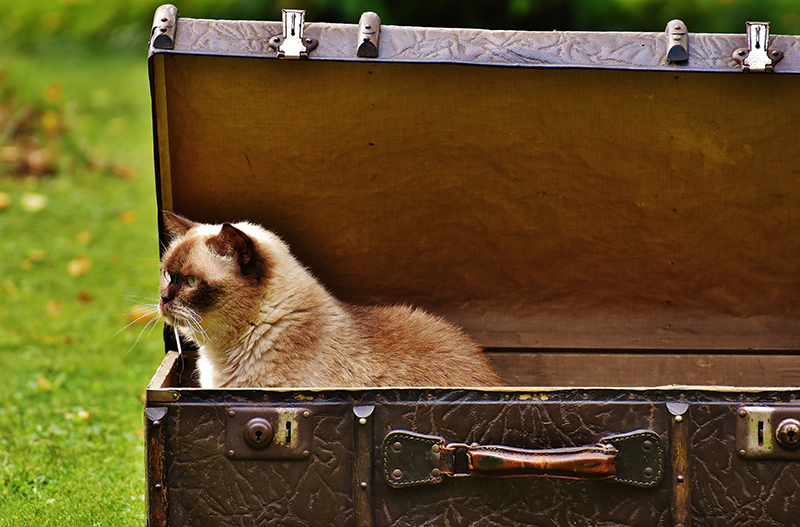 But most of us who own cats know that travelling with your cat is not so easy. We’ve put together a quick list of things you should and should not do to make moving your cat around a lot easier. Avoid any sedatives or essential oils to relax your cat. Veterinarians advise very strongly against the use of sedating your cat. This is because it can cause a range of health issues including dehydration, breathing or heart problems. Essential oils may calm humans and dogs. But they are highly toxic to cats. So they are best avoided all together. Never leave your cat alone in the car. Cars can heat up very quickly and things can turn dangerous easily. So even if you are planning to leave the car for only a short while, always take your cat with you to avoid any risks. Make sure your cat is micro chipped and registered before setting off on any journey. Should the unfortunate event happen that your cat manages to escape, it is important that your cat is able to be identified to ensure a safe return home. Always travel with plenty of fresh water. When travelling long distance, sometimes you may not know when your next water supply will be. Be prepared with enough water to last the distance. Finally, keep your cat happy with some of their favourite treats. This will make the journey easier for both the cat and you.